Two cruise ships couldn’t possibly be more different than Seabourn Sojourn (www.seabourn.com; shown at left; courtesy of the Yachts of Seabourn) and Royal Caribbean’s Allure of the Seas (www.royalcaribbean.com). I was recently onboard preview sailings of both as they arrived in Fort Lauderdale, FL, and I can tell you they only have two things in common: They are the newest vessels in their fleets (both debuted in 2010) and they are truly fantastic ships. Come to think of it, comparing them is kind of like comparing a Yorkshire Terrier and a Great Dane. Both are best in show, but for very different reasons! Size: At 650 feet long and 32,000 tons, Sojourn is considered a small ship (Seabourn markets it as a “yacht”); at 1,187 feet long (that’s almost four football fields) and 225,382 tons, Allure of the Seas is the largest cruise ship at sea (by a technicality — it is two inches longer than its twin, Oasis of the Seas, which debuted in 2009). Passengers: Sojourn holds a maximum of 450 passengers in 225 staterooms; Allure of the Seas accommodates 5,400 (at double occupancy) and a maximum of 6,318 (when all berths in its 2,706 staterooms are full). Crew: Sojourn has a crew of 335; Allure of the Seas has 2,384 (from 80 countries). Decks: Sojourn has 11 passenger decks with six elevators; Allure of the Seas has 16 passenger decks with 24 elevators. Staterooms: Sojourn’s staterooms are all exterior suites (the smallest is 295 square feet and the largest is 1,397 square feet) in 13 categories, and 90 percent have balconies. 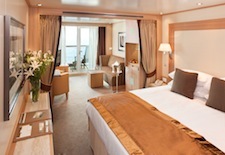 All suites (shown at right; courtesy of the Yachts of Seabourn) have roomy marble bathrooms with a separate shower, deep soaking tub and double sinks, plus a walk-in closet; the premier accommodation, the Wintergarden Suite, features both a sea-view soaking tub and an amazing interior Jacuzzi. Allure of the Seas staterooms range from 149 square feet to 1,524 square feet in 24 categories, and about 75 percent have balconies — some overlooking its open-air, interior Central Park neighborhood; the premier suite is the Royal Loft Suite With Balcony, a two-level stateroom with staggering panoramic views and a private Jacuzzi on the balcony. 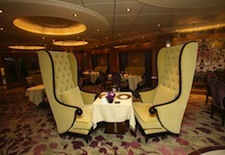 Restaurants: Sojourn has four (all included in the cruise fare) with menus by renowned chef Charlie Palmer; Allure of the Seas has 24 dining venues, 12 included in the cruise fare and the rest enjoyed for an additional fee — from a few dollars for a Cupcake Cupboard snack or Starbucks latte (the first Starbucks at sea) to $35 for a six-course tasting menu at stylish 150 Central Park (shown at left; courtesy of Royal Caribbean International). Bars & Lounges: Sojourn has six, including a casual poolside bar, a sleek Observation Lounge, and The Club, which features live music and a small dance floor. Allure of the Seas has 18, ranging from outdoor bars scattered around the massive Pool Zone on Deck 15 to the sophisticated, panoramic Crown Viking Lounge and the dark, pulsating Blaze nightclub. Pools & Hot Tubs: Sojourn has two small pools and six hot tubs; Allure of the Seas has five pools and 14 hot tubs, in both the buzzing main pool area and the adults-only Solarium. Activities & Entertainment: Aboard Sojourn, the roster is pretty tame — from wine tasting to yoga — while on Allure of the Seas it’s all about action: You can rock climb, zip-line, ice skate, play mini golf, shoot hoops, or go simulated surfing on the FlowRider. Come nightfall, Sojourn offers a small casino and sophisticated entertainment in three venues: a staged musical show in the Grand Salon, piano music in the Observation Lounge, and a band in The Club. Onboard Allure of the Seas, there’s a 20,000-square-foot Casino Royale and an entire neighborhood, Entertainment Place, to keep guests amused with a jazz club, comedy club, disco, Studio B ice rink (with its Dreamworks’ How to Train Your Dragon ice show), and 2,161-seat Amber Theater featuring the Broadway musical Chicago. Plus, Allure’s aft is dominated by the Aqua Theater, featuring diving and theatrical performances. First impressions: When you step aboard Sojourn, you feel like you’re on a ship — you can see water from almost everywhere except the interior hallways leading to the staterooms; the décor is contemporary yet soothing, with clean lines and warm earth tones. When you walk aboard Allure of the Seas, you know you are supposed to be on a ship, but you’d be forgiven for thinking you are in a massive resort in Las Vegas or Orlando — or even a really upscale shopping mall. 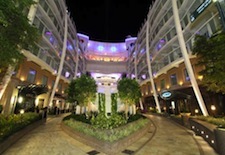 The ship wows you with its sheer size and scale, in particular the interior atriums that soar above its main social hubs, the Royal Promenade, Central Park (shown at right; courtesy of Royal Caribbean International), and the Boardwalk. Onboard vibe: Sojourn, like its luxury-class sibling Odyssey, is all-inclusive (all meals, snacks, beverages, and gratuities are included in the cruise fare) and is a relatively serene ship that caters to an affluent, well-traveled clientele generally ranging from their early 40s to their late 70s; it has one of the largest space-to-guest ratios at sea and never feels crowded. Allure of the Seas is a mind-blowing mega-resort at sea that should in theory be overwhelming, but amazingly is not. Credit goes to its fabulous design, which features seven different “neighborhoods” that tend to keep serenity seeking couples and families with kids in separate areas. Cabin suggestions: On Sojourn, book a Veranda Suite on Deck 6 forward for easy access to a secluded whirlpool and sun deck on the ship’s bow; if you can splurge, book a Penthouse Suite on Deck 10 or 11 for extra space and easy access to the main pool area and aft dining venues. On Allure of the Seas, book a Superior Ocean View Stateroom with Balcony (near the forward or aft elevators for easy access) or splurge on a Junior Suite with Balcony for about 100-square-feet extra space and a bathtub (staterooms only have showers). Must-Tries: On Sojourn, be sure to book at least one dinner (or even more since the menu changes nightly) in Restaurant 2, where you’ll enjoy an avant-garde tasting menu with wine pairings. On Allure of the Seas, feel like kids again as you munch on one of seven internationally inspired sausage snacks (my favorite: the yummy Big Apple chicken dog) at the Boardwalk Dog House; feel a tequila buzz as you sample the ample specialty margaritas at Rita’s Cantina; and for a sophisticated evening, reserve a table well in advance at 150 Central Park, the ship’s most stylish and romantic restaurant with a six-course tasting menu. 2011 Itineraries: On January 5, Sojourn begins its 111-day World Voyage (available in a variety of segments), and in April sails the Mediterranean before heading in May to Northern Europe and the Baltic for the summer, followed by Canada and South America in the fall. From Fort Lauderdale, Allure of the Seas is doing seven-night Eastern Caribbean cruises (to Nassau, Bahamas; St. Thomas; and St. Maarten) and Western Caribbean (Labadee, Haiti; Costa Maya, Mexico; and Cozumel, Mexico) throughout the year. 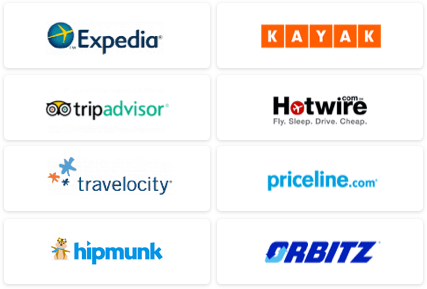 Fares: A seven-night cruise on Sojourn starts at $3,799 per person (all-inclusive); a seven-night cruise on Allure of the Seas starts at $719 per person (not including beverages and certain specialty restaurants). 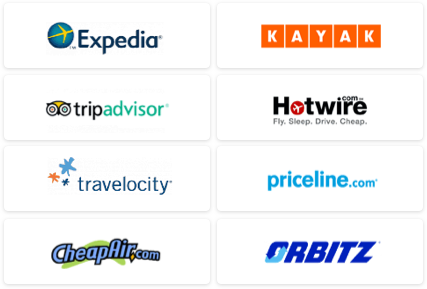 Use our Travel Search price comparison tool to find the lowest rates and travel deals for cruises.